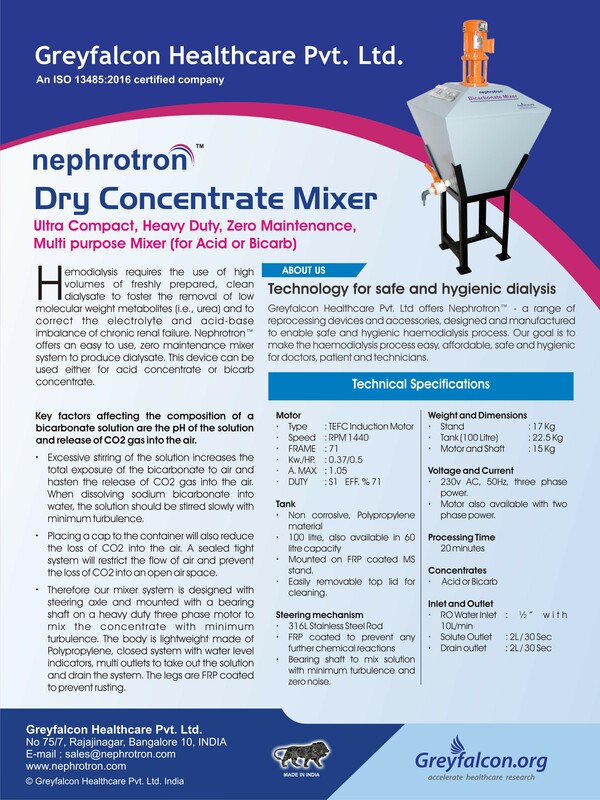 The mixer system is designed with a steering axle and mounted with a bearing shaft on a heavy duty three phase motor to mix the concentrate with minimum turbulence. The body is lightweight made of Polypropylene, closed system with water level indicators, multi outlets to take out the solution and drain the system. The legs are FRP coated to prevent rusting. Easily removable top lid for cleaning. 230v AC, 50Hz, three phase power operated TEFC Induction Motor with Speed RPM : 1440 and Kw./HP. : 0.37/0.5. The Tank is made of non corrosive, Polypropylene material of capacity 100 litres. Based on a steering mechanism with 316L Stainless Steel rod and bearing shaft to mix the solution with minimum turbulence and zero noise. 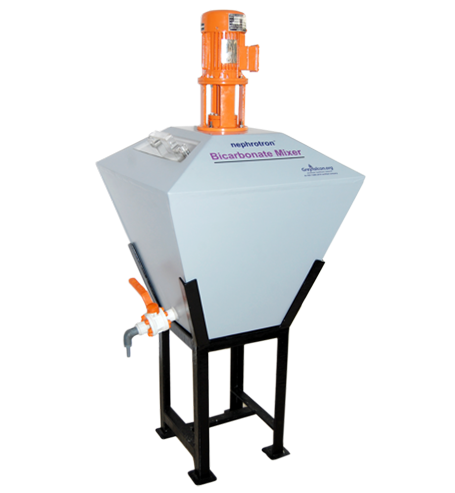 The processing time for 100 L is 20 minutes and Solute Outlet will dispose of 2L / 30 seconds.